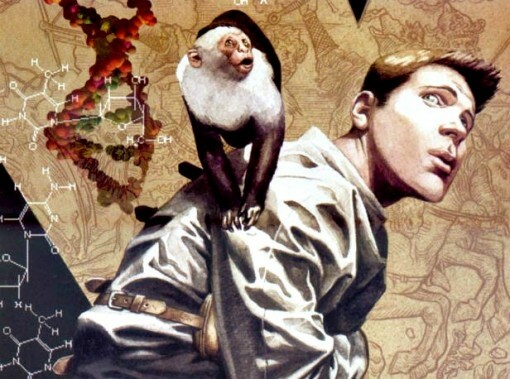 'Y: The Last Man' Movie Adaption Stopped. Good News? A few weeks ago, news came out that production of the Y: The Last Man film has come to a full stop. And from the sounds of the Slashfilm report, if we’re ever going to see the Eisner award winning comic book on a screen, it would likely be a television screen as opposed to seeing it on the big screen. I’m not sure how I feel about that an adaptation to TV vs. film. I’m excited that another one of my favorite books is being considered for a live action show, but I am also concerned as to what the final product will look like especially considering what AMC has done to The Walking Dead. Despite the great reviews, ratings and raves from my friends, I consider “The Walking Dead” TV series a complete failure in regards to translating the quality, intensity, and overall feel from the graphic novel. Outside of the zombies and the characters’ names, The Walking Dead feels almost entirely different than the book to me. And I don’t want that to happen to Y: The Last Man. The first 7-8 graphic novels of Y: The Last Man were awesome, man. As a television series, I don’t have faith that they will do “Y” the justice that the critically-acclaimed comic deserves (unless it’s HBO). I hope that Brian K. Vaughan reconsiders turning it into a movie. Only then am I confident that it will get the treatment it deserves. I was so excited to see The Walking Dead, only to be completely disappointed. Imagine your all-time favorite comic book turned into a television show, and you stopped watching halfway into the second season. I don’t want that same fate for Y: The Last Man. Whatever Vaughan ultimately decides to do with his creation, I hope that it remains true.